Home Enews DMX GETS JAIL SENTENCE?? DMX is name-dropping former NBA star, and ex-con, Jayson Williams in his attempt to get leniency when a judge sentences him for tax evasion ... TMZ has learned. DMX filed docs ahead of Wednesday's sentencing which include a letter to the judge laying out their plan to keep him on the straight and narrow. 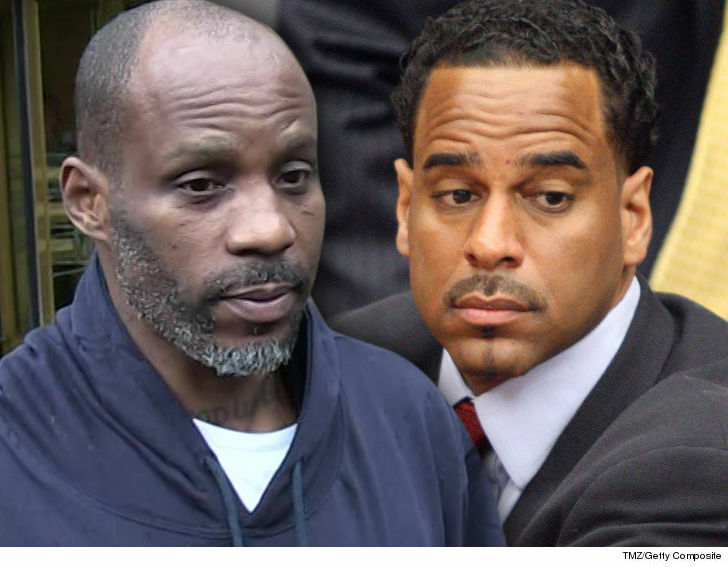 According to the letter, Jayson has offered DMX entry into his rehab program called the Rebound Institute. The rapper's legal teams says Jayson reached out to them, believing the faith-based center is exactly what DMX needs. According to docs, the rehab program runs a minimum of 45 days, and includes drug testing 3 days a week. Williams -- who infamously got 5 years for the shooting death of a limo driver -- says other famous athletes help out with the program. He mentions an NFL Hall of Fame running back and an NBA All-Star ... although their names have been redacted for their privacy. It's unclear if DMX plans to choose Jayson's program ... he says he's gotten several offers from treatment facilities. The rehab issue could be moot. As we reported, federal prosecutors have recommended the judge throw the book at X and give him 5 years in prison.